Practicing the literary work of the famous poet Rabindranath Tagore has been popular amongst the Bengali culture for ages. Executing them in the most creative ways possible has been the work of schools, artists and other individuals. The motive behind several performances on the work of Tagore depends on its purpose. It might be to introduce Tagore's work, his anniversary, or just to express oneself through his work. However, the purpose of introducing Tagore's rich literary work to toddlers is not seen as much. Sunnydale International School conducted such a show on May 30, 2011 ever so creatively with young children. Every year, Sunnydale International School carries out an event where children of ages around 4-5 participate in. The idea behind these annual functions is to build up the confidence in these young minds, so that they can express themselves and also to influence these bright students to move forward. Every time these annual functions take place, it is based on a theme. 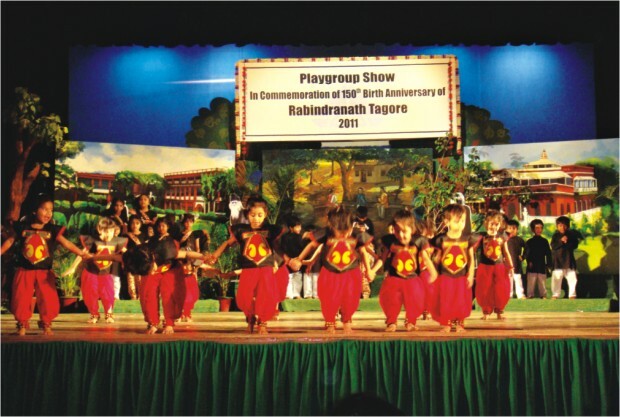 Last year, Sukumar Roy was introduced to the playgroup kids, and this time, it was Rabindranath Tagore. With the commemoration of Tagore's 150th birth anniversary, the kids carried out a playful act which was, in no way, near to be criticised. Various songs like, “Momo chitte”, “Megher kole”, “Amra shobai raja” and few more were executed by these young vibrant souls. The event was all about the kids. Their performances were full of expressive dance moves, which went on without any hesitations or breaks. The last piece was performed on the song “Tumi amader pita” which touched the audience since the innocence and sheer honesty of the children were showcased through the act. 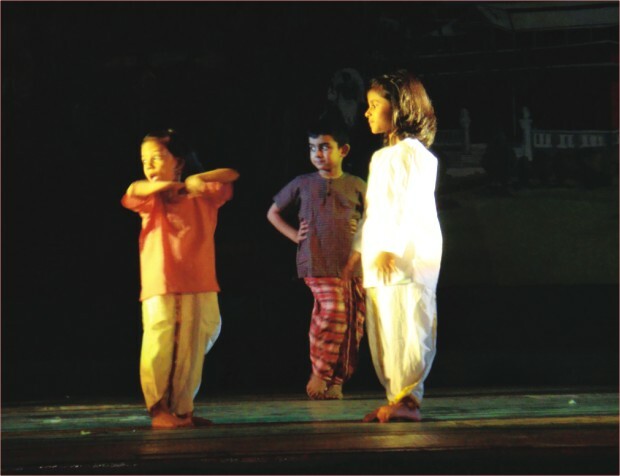 Watching performances dedicated to Tagore is quite common, the way it gets carried out is predictable to some extent, but the performance by such young children surely was not only unpredictable but twice as delightful. There was not a single child who did not take part in it, be it to scratch their heads, jumping up and down to Rabindra Sangeet, or playing with the props. In spite of being an English medium school, the authorities believe that Bangla language and culture is an integral part of our entity and is inseparable from us. With this thought in mind, in addition to academic learning in Bangla, the school celebrates all Bangladeshi and Bengali historical and cultural events throughout the year by arranging shows, art competitions and several other activities involving students. Well renowned Rabindra Sangeet singer Mita Haque was present as special guest of the event. “I am speechless! It is easier to express my feelings in words when I am at regular events, but this was truly amazing. It was a pleasure to watch these children perform and enjoy Tagore's work, that too with such discipline.” Mita Haque said. The principal, Tazeen Ahmed, was also amused at the calibre of the students. She shared how she would want to see our National poet, Kazi Nazrul Islam's work to be induced the next time. It was an event full of enthusiasm and innocence, which drew several impressions including those of our own childhood days. It clearly showed that a lot of hard work was involved in it. Without the teachers and the vice principal of the school, Zeenat Afroza, and of course, Samina Hussein Prema, the choreographer of the dance performances, this programme might not have been successful.